Lt. Gov. Dan Patrick spent almost a third of his cash on hand on television advertising in January. He also supported the primary opponent of a sitting Republican senator. Lt. Gov. 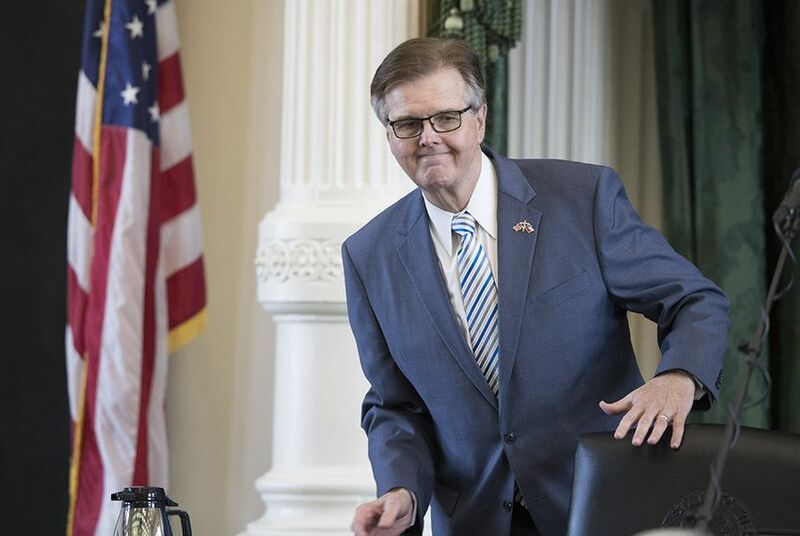 Dan Patrick may have a little-known Republican primary opponent, but he doesn't appear to be taking his re-election campaign for granted. Patrick spent a whopping $5.1 million on TV ads in January, according to his latest filing with the Texas Ethics Commission. That was the lion's share of the $5.7 million his campaign spent in the first 25 days of January, burning through roughly a third of the money it had in the bank just a month earlier. Another notable line in Patrick's filing: He spent $17,000 on polling for the primary opponent of sitting state Sen. Craig Estes, R-Wichita Falls. Estes is being challenged by state Rep. Pat Fallon, R-Frisco. On the report, the expense is specifically listed as polling for "Senator Pat Fallon." Patrick has not endorsed Fallon, but the polling expense further fuels the perception that the lieutenant governor has already picked sides in the race. Making the expense even more glaring, Estes is among the 19 senators who have endorsed Patrick for re-election. Patrick also spent similar amounts on polling for two Republican senators in competitive primaries: Joan Huffman of Houston and Bob Hall of Edgewood. Huffman is being challenged by Kristin Tassin, the Fort Bend school board president, and Hall's opponent is state Rep. Cindy Burkett, R-Sunnyvale. Patrick's spending on TV ads is even more remarkable considering his dearth of primary opposition. His only opponent is Scott Milder, a public education advocate and former member of the Rockwall City Council. After the January reports, Patrick had more than 300 times the cash on hand that Milder did. Still, the TV ad spending significantly lowered Patrick's cash-on-hand figure in less than a month. He had $18 million on Dec. 31, a sum that dropped to $12.6 million by Jan. 25.